A little about Chris Kadlec's main DX tuner: Yes, it's an MP3 player! My antenna? Earphones! Who would have thought? When people ask me what tuner I use to receive my FM stations, they're almost always surprised by the answer. It's an MP3 player. It's portable, it fits in my pocket, it has no antenna, and most of all, it's unique. I mean, seriously, how many serious DXers catch their stations with an MP3 player? Well, I do! 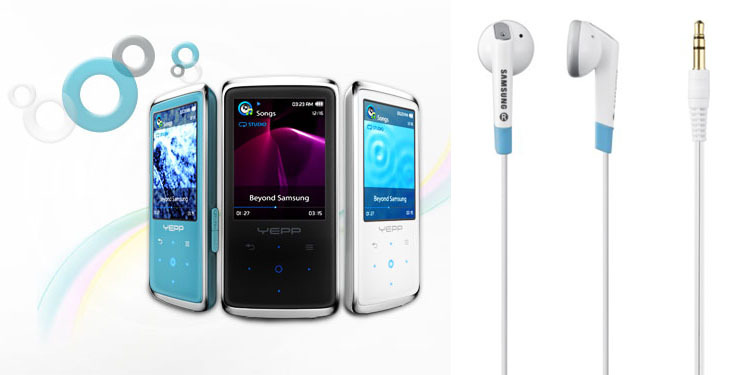 The Samsung YP-Q2 MP3 player was first released to the Korean market, where I purchased it, in April 2009. It was never widely available in North America at the time and continues to be a tough find, available for purchase, yet now considered outdated, mostly on eBay. I made the purchase solely for its capability to play music. I never imagined it would be suitable for radio and even surprised at its ability to perfectly pull in 150-mile stations, I never realized how superior it was to even the best radio tuners until I returned to the U.S. and had something to compare it to. Simply put, this little bugger is sensitive. Using merely a set of basic Samsung EP-380 earphones as an antenna allows me to find the tiniest null in local stations, even in an area as small as a fingernail, and focus in on the signal. Manipulating the earphones wire until a station appears, pressing it against a metal fence to give a station's signal a boost, or hiding behind a solid object to weaken a strong local signal and pull in a distant one are just a few of the many things I can do with earphones that a rooftop antenna or even external antenna could never accomplish. The tuner also has multiple settings, including the Japanese FM band and allowing the tuning of frequencies with a 0.05 MHz spacing to tune the sidebands and nail down those stations stuck behind locals. 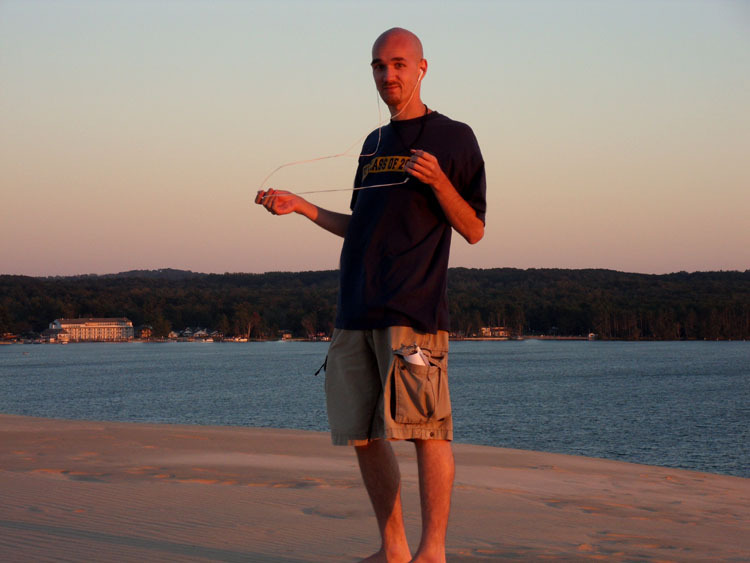 Furthermore, holding the wire in front of my body and perpendicular to myself allows it to become a directional antenna, simply aiming it in the direction I wish to hear, as shown in the photo below at my Silver Lake Dunes radio site. But that's not all. It works just as well outdoors as it does indoors. I've successfully recorded amazing catches in the middle of rooms lacking windows, sitting in my car, as well as in the cabin of an airliner. Its abilities are seemingly limitless. But how far does this arrangement take me? Well, it currently and commonly effortlessly pulls in local-like signals in excess of 600 miles (1,000 kilometers), even in the null of strong locals. But this device, with a screen of 2.4 inches, isn't without its disadvantages. The battery can be charged only via USB and runs down very fast while flipping through or recording radio stations, as fast as two to three hours. When you're mobile and listening from a mountaintop, it's quite inconvenient. Furthermore, the battery is entirely internal and cannot be replaced when it ages and loses its ability to hold its charge well. Believe me, the battery has lost much of its ability after thousands of hours of use. Worse yet, its pretty blue internal LED backlight interferes with the tuner on multiple frequencies, causing a high-pitched noise on some frequencies, especially when unoccupied by a local station. This can make some frequencies essentially dead and useless. But all tuners, even the best, have their cons and it's part of the hobby. While it successfully nabbed a sole E-skip signal from Thailand, in excess of 2,000 miles (3,300 kilometers), it's notoriously poor at reception of E-skip and is used mainly as a tropo device, possibly a limitation of the earphones wire. When used directly outside a car radio being slammed with intense E-skip, the same frequencies on seek with RDS in the car were entirely silent on the Yepp Q2. Nevertheless, this is the most handy little tuner I've ever come across. It has brought me the many amazing stations you can see on my website and occupies my ears on long subway rides, walks through the forest, and long days at work. Best of all, I always have a radio tuner right in my pocket! This page is Copyright 1999-2013 Chris Kadlec. Please do not repost this information without the express written consent of the author.